US Democratic Senator Elizabeth Warren has officially launched her Presidential campaign days after issuing a fresh public apology for her past claims to Native American heritage. On Wednesday Warren was forced to apologize after the Washington Post revealed that she listed her race as “American Indian” in a Texas bar registration back in the eighties. She admitted that there could be other documents on which she applied her “understanding” of family roots. President Trump made reference to the controversy surrounding her alleged Native American identity, by once again using the nickname he has given her! 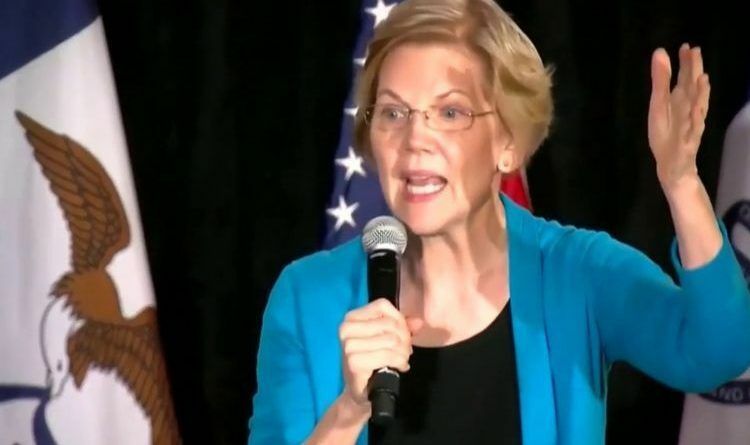 Warren stopped by Cedar Rapids, Iowa, over the weekend to attack President Donald Trump and dim some of the spotlights on her fraud situation, coupled with being tagged a liar for claiming she didn’t use the “American Indian” designation to get ahead. How do you shift the focus from your possible prison sentence to another topic? Warren purposely claimed to be an “American Indian” on her Texas State Bar registration card, which is fraud. “Every day, there is a racist tweet, a hateful tweet, something really dark and ugly,” she said. As I stated earlier, Warren and others are making lots of noise and threats to deflect attention away from their own activities — and creating smokescreens to take press time away from the accomplishments of President Trump.